Spring might have started a couple of weeks ago, but it’s not too late to begin your Spring cleaning. Read on for some cleaning tips from DealDash. When the weather gets warmer, and the sun stays out a little longer during the day, spring cleaning begins. Spring is the best time to enjoy warmer weather and clean your house. The springtime is also a good time to invite people over. That is why it is important to have your home clean and in order this spring. Here are 3 things that you should have on your spring cleaning list, from DealDash. The walls are one of the main things that need to be cleaned this spring. Most people don’t think about cleaning walls during spring cleaning, but it is one of the first places that people look at. Walls can have a buildup of dirt throughout the years. It is best to clean your walls during spring cleaning for a cleaner home. This is especially true if you have pets. I always notice some tiny little cat footprints on the walls under my windows. Giving your carpet a deep cleaning is essential during the springtime. Throughout the year there are spills and dirt that can get on your carpet. During the winter time dirt is getting on the carpet from being outside with your dog or in the snow. It is best to get a vacuum cleaner to remove the dust and dirt. Deep cleaning your carpet will also keep your home more sanitary. A clean mattress can help you prevent dust mites. When your bed is not clean, there are a lot of germs that can build up. When you remove the sheets and covers to wash them, it is also important to vacuum the mattress. The best way to get a mattress clean is to put baking soda on the mattress, and then vacuum it. The springtime is the best time to clean a mattress. Did you know that DealDash has some great items for cleaning? If you’re in the market for a vacuum, either classic or robotic, DealDash is the place to shop. Remember, if you are planning on buying a vacuum, you should bid on one on DealDash! If you don’t win the vacuum, no problem! You can do a “Buy It Now” or “BIN” on DealDash, pay the price listed on the auction, and receive all of your bids back that you placed to use again. You will also get free shipping on the item, no matter if you won it or bought it. The springtime is a wonderful time of the year. These tips will help you keep your home clean and refreshed from all of the winter dirt that has built up over time. Being prepared is very important for a successful Spring cleaning tradition. When you follow this list you will have a sparkling clean home in no time. Thanks so much for reading this DealDash article on Spring cleaning. Don’t forget to check back every day for new articles here. Also read our sister blog, DealDash Tips. We love to hear from our readers. Do you need a new vacuum? Go check DealDash for cleaning items for the home. DealDash has all of the things that you need. Visit DealDash now to see how much you can save. Have a great time on DealDash and happy bidding everyone! This entry was posted in Cleaning and Organizing and tagged clean, cleaning, cleaning tips, Deal Dash, DealDash, DealDash Auction, dealdash auctions, dealdash.com, home, house, Tips, vacuum on April 4, 2019 by . The winter is the perfect time to clean your carpet. Get the slush and salt off of your carpet with these tips from DealDash. Cleaning a carpet can sometimes be difficult. Walking on your carpet constantly can cause build up of dirt. It can be a daunting task to clean your carpet, but it is easier than you think. Having a clean carpet is good for your health, and it will make your house look more presentable. Here are some tips on how to clean your carpet, from DealDash. Vacuuming your carpet regularly will keep it clean from dirt and debris. It is recommended to vacuum at least once a week. Studies have shown that vacuuming your carpet once a week will keep the dirt away. If your carpet tends to get dirty because you live with a lot of people, it is good to clean your carpet on a daily basis. Personally, I have 2 vacuums. I have a strong and powerful full-sized Dyson for the weekly vacuuming. For the daily vacuuming, I use a Dyson stick vacuum. It’s cordless, so it’s very easy to just pull out for a quick once-over of the flooring. If you’d like to get your own Dyson stick vacuum, just click right here and you’ll be taken to DealDash to check it out. Shampooing your carpet will remove all of the stains and build up of dirt that is on your carpet. Before you begin to shampoo your carpet you have to remove the furniture and anything else in the way of shampooing your carpet. It is important to vacuum first before you remove your shampoo. You can rent a carpet shampooer at any grocery store. Shampooing your carpet should be done yearly, or bi-annually if you get a lot of foot traffic through your home or live with messy children who spill things on the carpet. Of course, a better solution is to not let any children have food anywhere except for the kitchen or dining room. The best way to keep your carpet clean is to be more cautious about making a mess. Try to drink out of a water bottle or a soda can to prevent spills. Remove your shoes before you walk on the carpet to prevent dirt. If you like the feel and support of shoes, then buy an inexpensive pair of shoes to wear only at home. If you do have a spill, it is important to clean it as soon as possible and use anti-staining products. Cleaning your carpet does not have to be a huge job. These tips will help make the process faster and easier. Cleaning your carpet is not very hard and it does not cost a lot of money. All you have to do is follow these tips and you will see an improvement in the appearance of your carpet. I hope that this article has given you some good tips to get your carpet clean. Thanks for reading the newest blog article. I hope that you found this DealDash article on keeping your carpet clean interesting. We have a new article here on DealDash Reviewed every single day. It could be cooking, family, crafting, health, or lifestyle. If you need home items with free shipping DealDash has them. Check out the DealDash home decor items. DealDash has everything. Have fun on DealDash, and happy bidding everyone! This entry was posted in Cleaning and Organizing and tagged clean, cleaning, Deal Dash, DealDash, DealDash Auction, dealdash auctions, dealdash.com, dyson, home, house, vacuum, vacuuming on January 23, 2018 by . Do you have allergies, sensitive skin, or small kids in your house? If so, it might be a smart idea to use natural cleaning products in your home instead of chemical-based cleaners. It’s easy to understand that using natural or plant-based products can contribute to healthy living, but it can be a little confusing when you first get started. This blog article will introduce you to some of the easiest and best natural cleaning products out there. 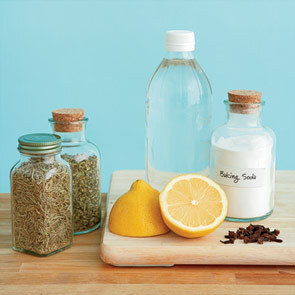 White vinegar is awesome for cleaning, disinfecting, and deodorizing many different surfaces. I personally use a spray bottle of straight white vinegar to clean my granite countertops. There’s a very strong vinegar smell at first, but that dissipates after just a few moments and you are left with clean and safely disinfected countertops. Another use for white vinegar is to clean your microwave. You can just spray it with the same spray bottle and wipe – but an even better (and more fun!) way to clean the baked on gunk and stains on the inside of your microwave is to put a cup of white vinegar in a microwave safe bowl and microwave it for 2 minutes. The vinegar will steam and loosen the caked on food so it’s easy to wipe away. They have microwave cleaning bags that do the same thing, but this will cost you about .49 for a small bottle of white vinegar that will last you a few uses versus a few dollars for one use. Most people know this easy trick – just put an open box of baking soda in the back of your fridge and it will absorb all of the extra odors. You can also sprinkle baking soda on your carpet, let it sit for 10 minutes, and vacuum it up to clean the carpet. It will absorb the odors and make everything fresh and clean. If you have a pan that is greasy from meat just sprinkle some salt in it, then you can scrub it with your soft sponge like normal. The salt won’t scratch the finish because it will dissolve in the water. Lemons are wonderful for cleaning and deodorizing. You can slice up a lemon, add a few ice cubes, and toss it down your dish disposal. It will clean the disposal beautifully and make it smell like fresh lemons. I hope that you found this article helpful for using natural cleaners. If you need some other cleaning items such a new vacuum or perhaps a spot cleaner for your carpet check out DealDash. DealDash has an amazing selection of products for the home. Good luck and happy bidding everyone! This entry was posted in Uncategorized and tagged Auction, Auctions, cleaners, cleaning, Deal Dash, DealDash, DealDash Auction, dealdash auctions, dealdash.com, vacuum on July 3, 2016 by . Aren’t carpet stains the worst? Well, DealDash is here to help you with some tips to get the stains out. Picture it, you’re having a party, the snacks and drinks are flowing freely, and you hear “Oops!! My wine!” You inwardly sigh and go get paper towels to at least do a little damage control. The next day you see what an awful stain it really is, and you wonder how you will ever get that stain out. Or perhaps parties aren’t your thing. Maybe you have your grandchildren over for a visit while their parents are busy. You decide to be the “Cool, fun Grandma” and let them get out the paints. Soon enough you hear “Whhhaahhh Grandmaaa I made a messsss!” Just like in the example above you do a little damage control in the moment and try to deal with the stain later on. DealDash is here to help, no matter what your situation or stain there are some ways to (hopefully) completely remove it, or at least make it much less noticeable. Here we have a list of some of the most common stains and the best ways to go about removing them. Wine – Wine is notorious for staining the carpet. It’s fairly simple to treat if you deal with it immediately, though. Immediately put salt on the stain, then blot with club soda, then finish with a rinse of lukewarm water. Blood/Coffee – Blood and coffee are removed in the same way. After blotting up the excess blot or spray with hydrogen peroxide then clean with a sponge and warm (dish)soapy water. Gum – You can remove gum the same way that you can remove it from hair. Put ice on the gum long enough for it to become hard and semi-frozen, then peel it off. Ketchup – Kids love ketchup and are messy, which is a bad combination for your carpet. Mix 1/2 a tablespoon of ammonia with 1/2 a cup of water and blot until gone. Finish up with a rinse of lukewarm water. Wax – You can remove candle wax from your carpet by letting it dry, then placing a brown paper bag (like from a grocery store), and ironing the wax. If there is a lot of wax then you will have to repeat the process with fresh bags until the wax is removed. If you are still having trouble with stains after trying these tips and tricks DealDash has a great spot and stain remover that’s made by Bissell, as well as a huge selection of vacuums made by various well-known brands. If you’d like to see the Bissell stain remover just click this link here, and if you would like to see the selection of vacuum cleaners then just click here. Good luck and happy bidding everyone! This entry was posted in Uncategorized and tagged appliance, carpet, cleaning, Deal Dash, DealDash Auction, dealdash auctions, dealdash.com, dirt, home, housework, stains, vacuum on June 22, 2016 by .